In all of our six stores, we pride ourselves on carrying quality building materials and providing a friendly and helpful staff. When you shop with us, you not only will get the answers to your building questions, but at our lumber yards there are staff available to load your lumber. 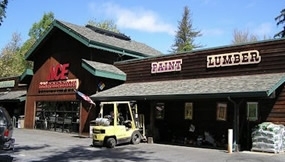 At our lumber yards located in Scotts Valley, Ben Lomond and Boulder Creek, we carry all of your building needs for projects as large as a new custom home or home remodel to decks and fences and so much more. To better serve you, we also make available the option to have your building materials delivered to your home or job site. Here are just a few items that we carry. Please let us know if there is anything that we don't carry that we can special order for you.